Zoomtext, the most popular magnification program, and JAWS, the most popular screen reader have been combined into Fusion. TypeAbility now works with Fusion! TypeAbility 4.3 is now available at a discounted price of only $79.99 for a one-year term when used with JAWS or MAGic Student Edition purchased with Federal Quota Funds through American Printing House! These JAWS or MAGic licenses are sold exclusively by APH as annual subscriptions. Check it out at www.FreedomScientific.com for more information. A second year purchase of TypeAbility at $79.99 will assure you unlimited use with the student’s JAWS or MAGic purchased licenses. TypeAbility is not sold through APH. Contact us directly, or one of our dealers, for purchase at this special price! YesAccessible! is devoted to providing the blind and visually impaired with software that will enable them to use computer applications just as well as their sighted peers. From Computer Skills and Keyboarding programs like TypeAbility, to music software, like CakeTalking, YesAccessible! software will make working in a computer environment as easy, enjoyable and as productive as possible. David Pinto, founder of YesAccessible!, has spent his teaching and programming career making sure that students are never left in the dark, that instructions are always complete yet easy to understand, and that a graduated approach to learning is provided that never ever requires knowledge or skills that have not been thoroughly introduced earlier. The Typing Program and Computer Tutor for the Blind and Visually Impaired! And basic Braille Input Support using the Power Chord Braille Keyboard. When exiting TypeAbility, JAWS speech rate would not return to normal. Fixed. 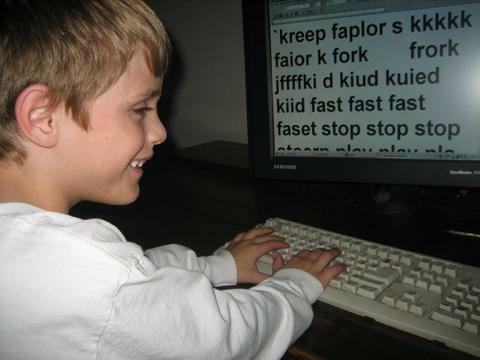 For both children and adults who need to learn to type and use the computer, TypeAbility is the easiest, most enjoyable and most affordable of all typing programs. TypeAbility for JAWS, uses the speech capabilities of the JAWS screen reader. TypeAbility for Fusion uses the speech capabilities of JAWS and the screen magnification of Zoomtext. TypeAbility for MAGic uses the speech capabilities of the MAGic screen magnification program. To Download TypeAbility 4.3.1 for JAWS 8 through JAWS 12, click this link. 15 Free Openings. To learn more about TypeAbility, click this link. To view the TypeAbility 4 Video Tutorial for Teacher's Part 1, click this link. To view the TypeAbility 4 Video Tutorial for Teacher's Part 2, click this link. To view the TypeAbility 4 Video Tutorial for Teacher's Part 3, click this link. To view TypeAbility teaching JAWS Research It, click this link. CakeTalking is a program that uses the JAWS screen reader to make the MIDI/Audio program Sonar totally accessible to blind and visually impaired musicians. CakeTalking is used by children, professionals, and internationally renowned musicians such as Marcus Roberts, Dianne Shur, and Kevin Kern. CakeTalking with Sonar, transforms your computer into a multi-track recording studio. For pricing, or to purchase CakeTalking, click on this Dancing Dots link.